TARA DILLARD: Do You Have Poyeema With Your Garden? Do You Have Poyeema With Your Garden? Last year, in Texas again, caretaking mom, days began early & ended late. Mom was constant care, I was up 4:30-5am to get in my 'reading' before she awoke. Those mornings were spent in the formal living room, unchanged since 1965, facing Galveston Bay, and a rising sun. Coffee, journal, pen, reading on the phone. One of those mornings, 7-15-18 in my journal, a word I knew existed, had to, hunted for, but never found, was finally discovered in a link within someone's comment on a political blog. Gardening needs a word for its action steps, aka, working in the garden or garden chores. Needed articles, but within reason, not-all-the-time. Gardening is the art treated as a PSA equal to, use sunscreen, eat right, don't smoke. Drive thru neighborhoods and how many good gardens do you see? This doesn't include gardens solely well maintained, or merely matching HOA rules, but truly good gardens, beauty upon this Earth, and in our lives. Decades looking, I found the word describing 'my' time in the garden. Poyeema. It's Greek. Do you know it? I had never seen 'poyeema' written or heard it spoken. Yet I have lived its meaning. The link I followed, here. Poyeema is mentioned twice in the bible. Our Authorized Version calls the creation, in this passage, “the things that are made,” but in the Greek it is called literally “the poyeema,” from which we get our word poem. The Apostle refers, of course, to the harmony of God’s creation, and is it not indeed amazing how billions of heavenly bodies can continually revolve in the vastness of space and never collide! And are not the flowers, the seasons, the sunsets all part of a harmonious creation, which God alone could have conceived and set to music? ", here. "Ephesians 2:10 – For we are his workmanship, created in Christ Jesus unto good works, which God hath before ordained that we should walk in them. The word “workmanship” is the Greek word poyeema and means a thing made, a thing produced, with effort and design. In Ephesians 2:10, poyeema literally is in reference to us who are His masterpieces. We can literally define the word poyeema as poetry in motion for our lives are ordained by God", here. Years of gardening poyeema on my blog, in my books, on my TV show, at my lectures, in client gardens. A poetry of workmanship. Joy in the doing, grace in the results. 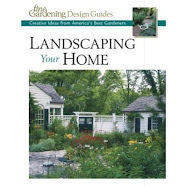 How to garden? The 'traditional' method of garden writing? Not my niche. 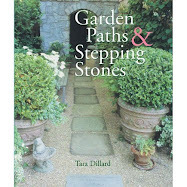 But I do have a favorite 'traditional' how-to garden writing resource, she talks to your intellect, and life. Ca. 1998 I had the good fortune to hear Margaret Roach speak in Atlanta, she had just written a book, A Way to Garden. Margaret was perfection. Then something awful happened, but good too I suppose, she received a promotion at Martha Stewart. Martha knew a good thing. But it hemmed Margaret, in my opinion. Finally, Margaret retired from Martha Stewart and began her blog, A Way to Garden. Lucky us. All pics, above, from A Way to Garden, about Jenny Elliot of Tiny Hearts Farm. Humbling to realize Providence created all in grace, and poetry of workmanship, for us, yet went further, giving us our own poyeema, to take, or not. The poetry and workmanship are there, awaiting, whether we believe, or not. Have you had this? Poyeema, maybe never thought about it but knew there was something there, something without words, but every good feeling? So went my days last year, caretaking mom, epiphanies, laughter, hardwork, tears, joy, grace. TV show? That was awhile ago, hosting my own show on CBS and a lot of fun, and I approached it with a mission statement full of poyeema. Who's the lucky one reading this far already knowing poyeema?